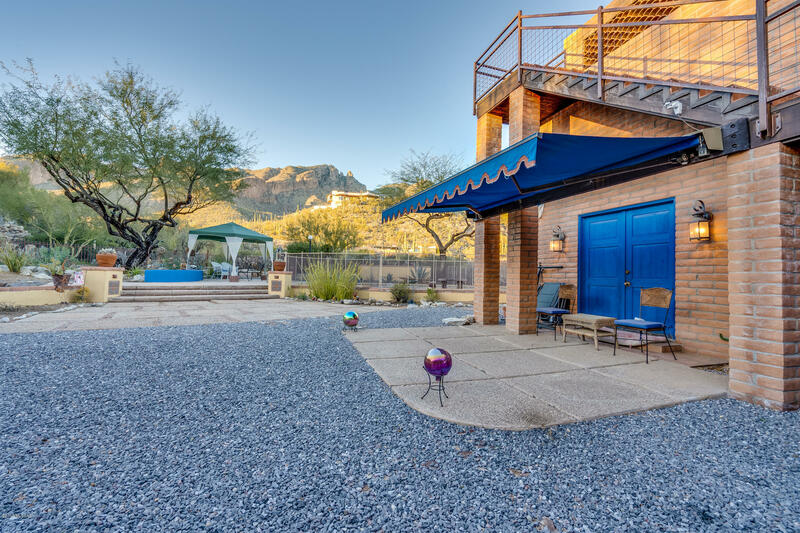 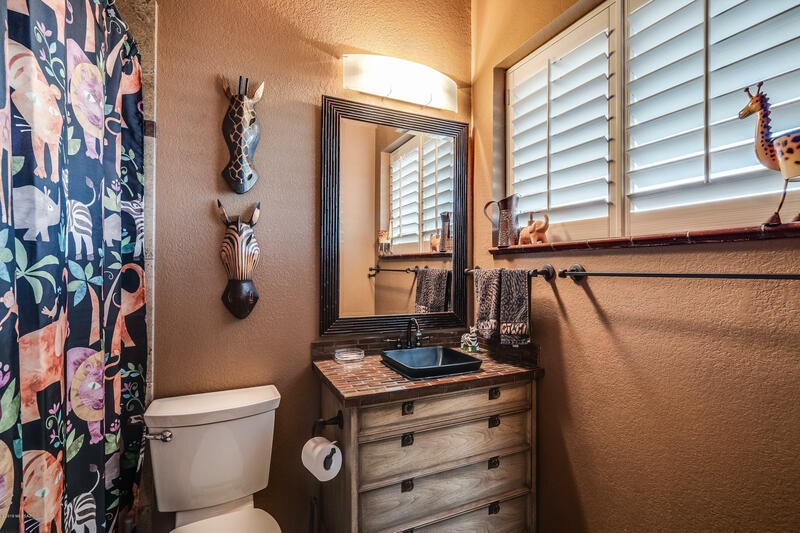 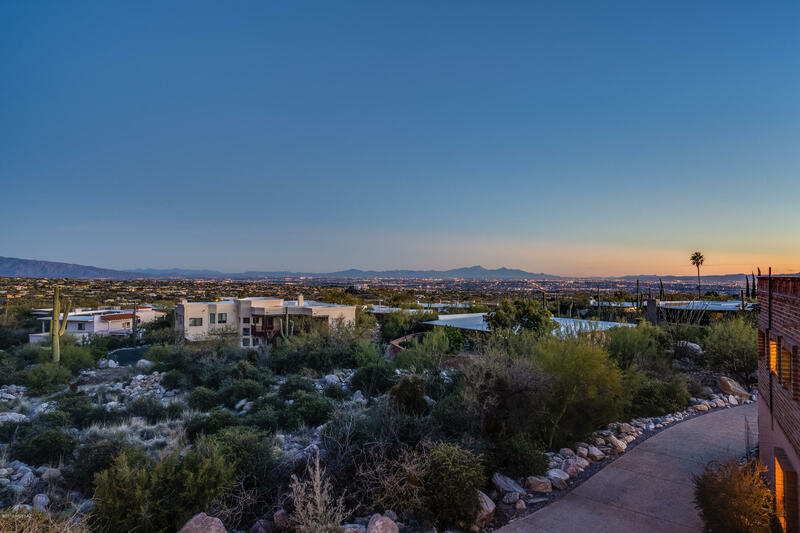 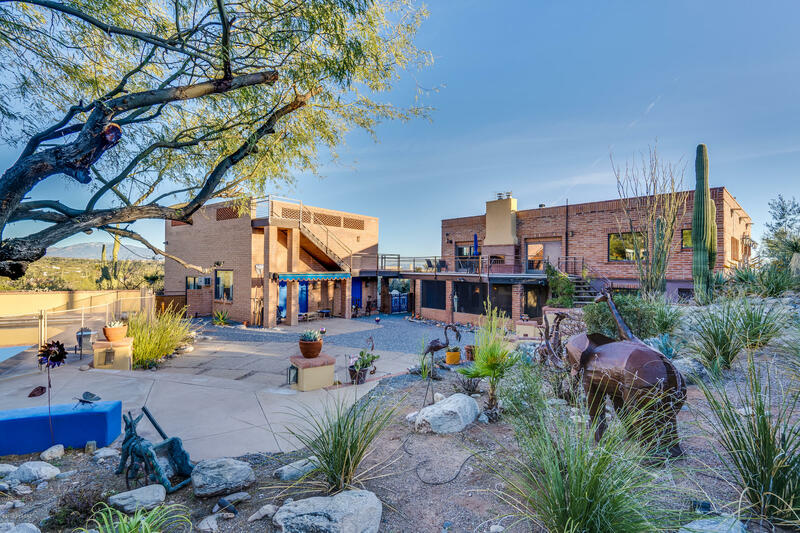 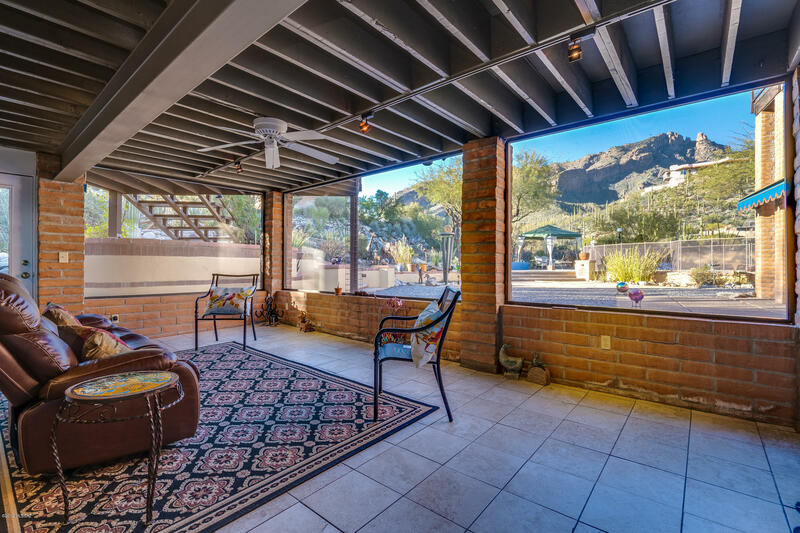 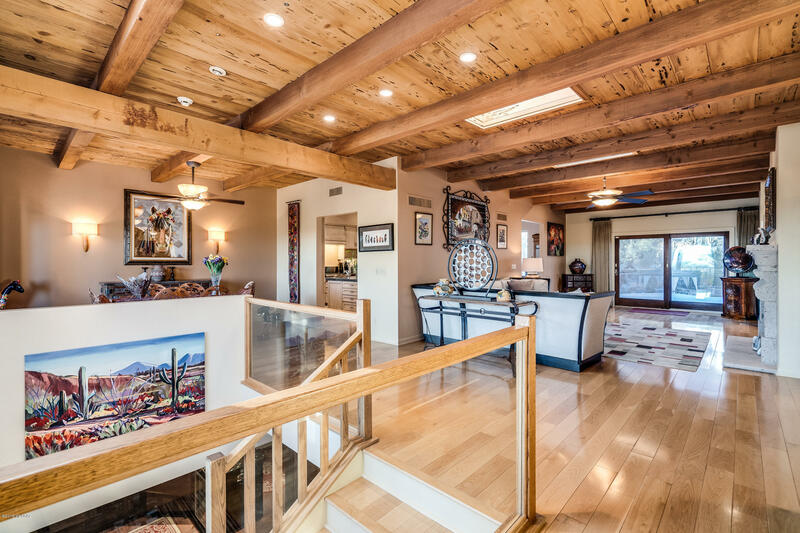 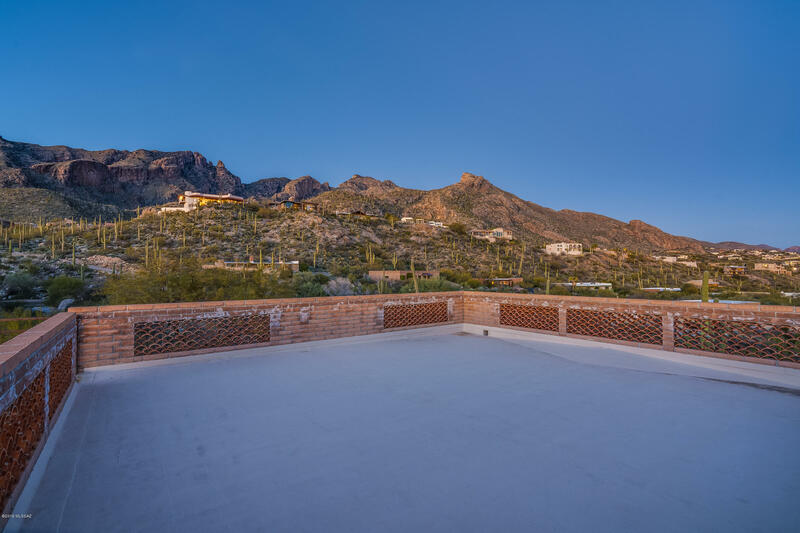 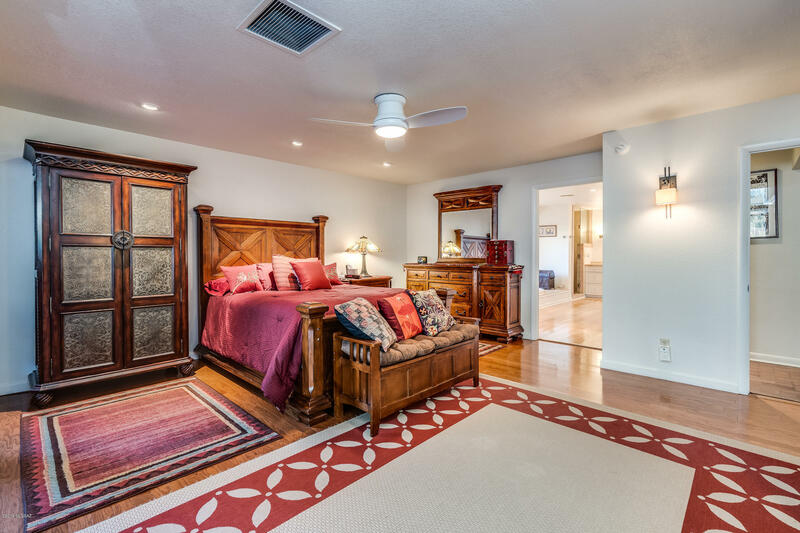 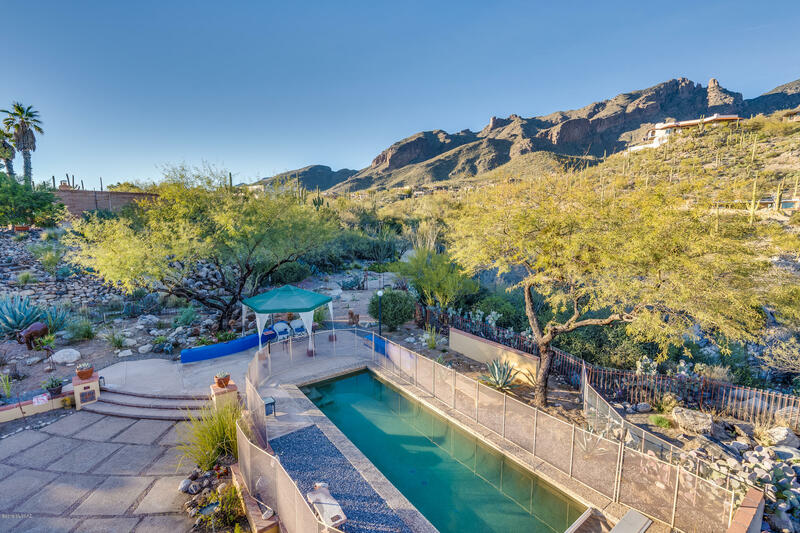 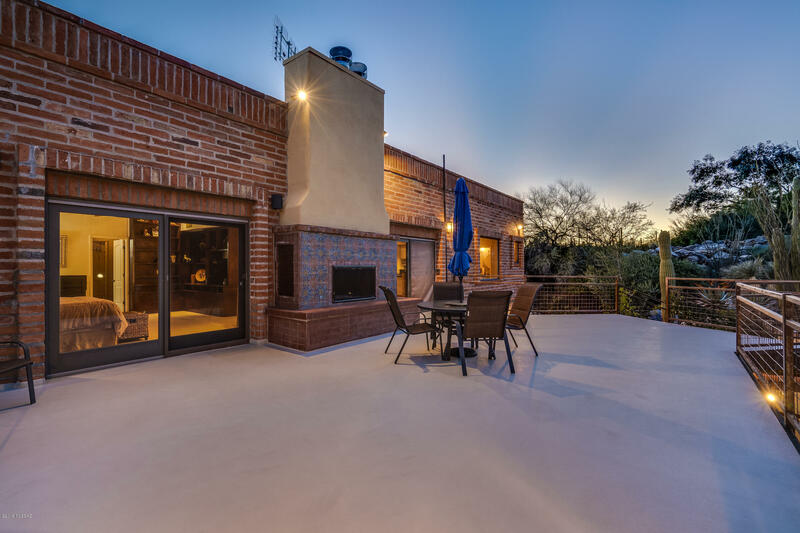 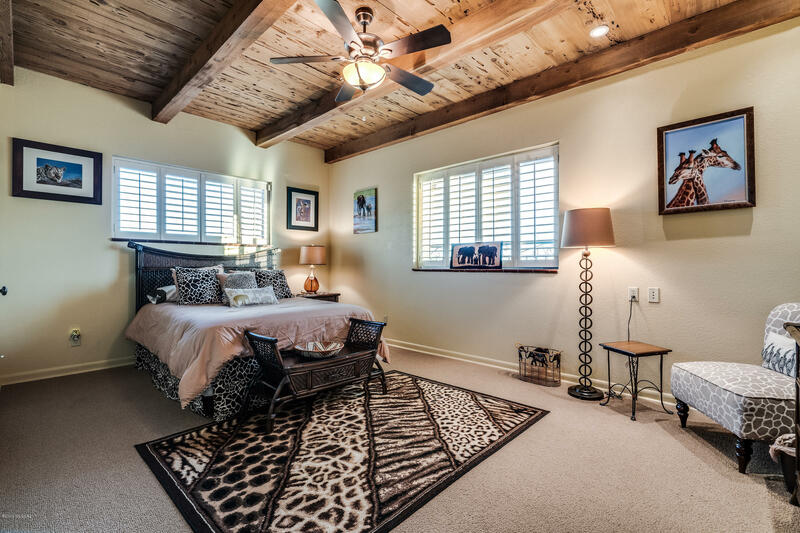 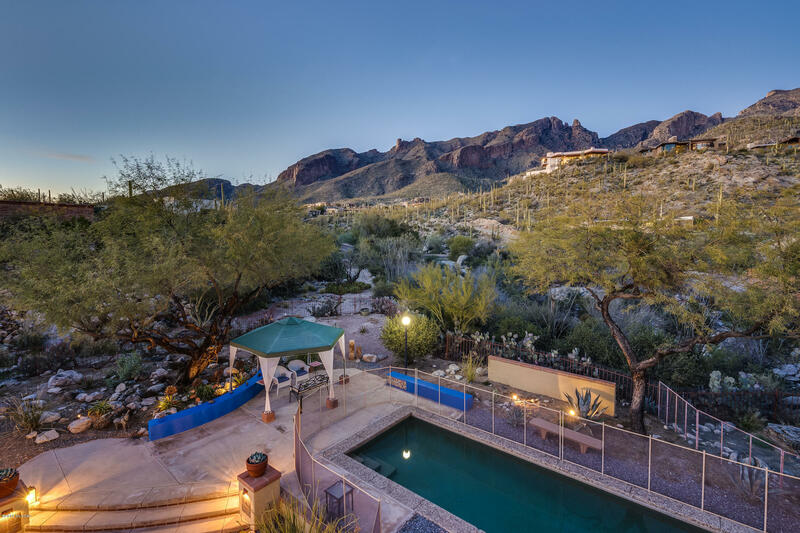 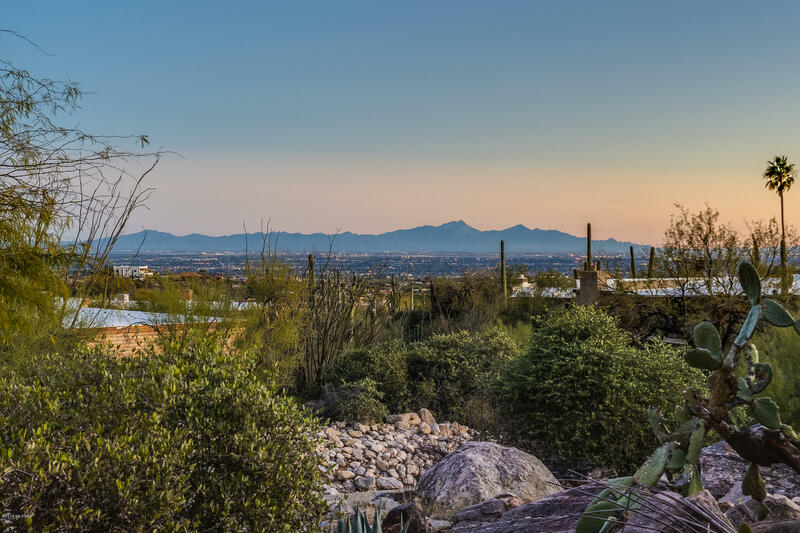 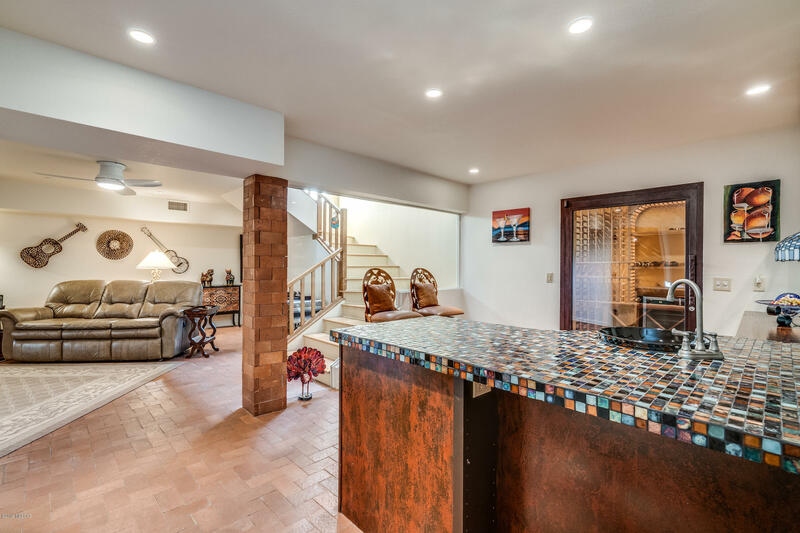 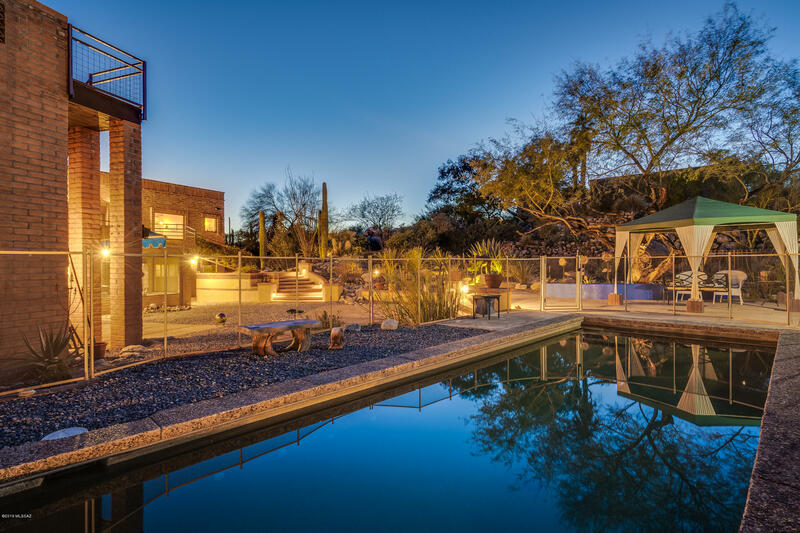 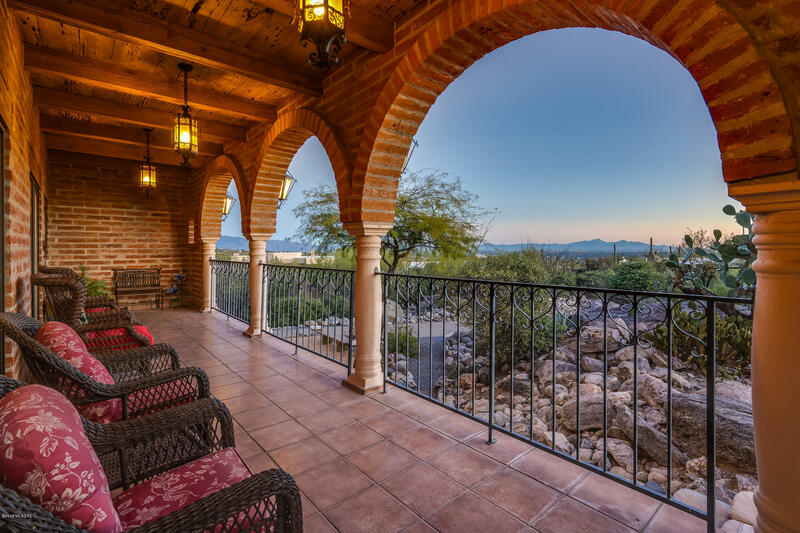 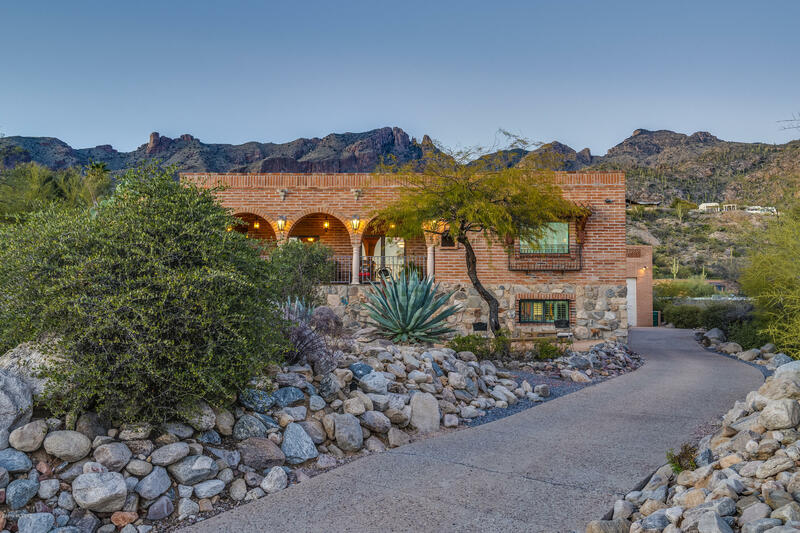 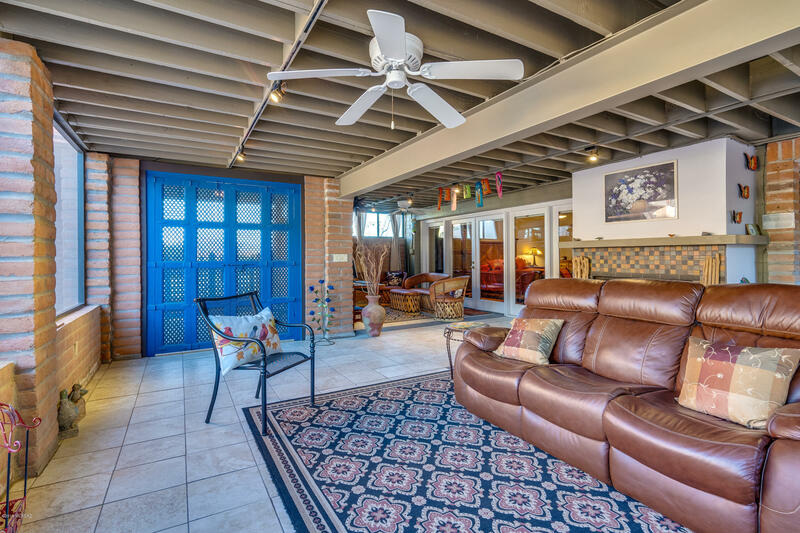 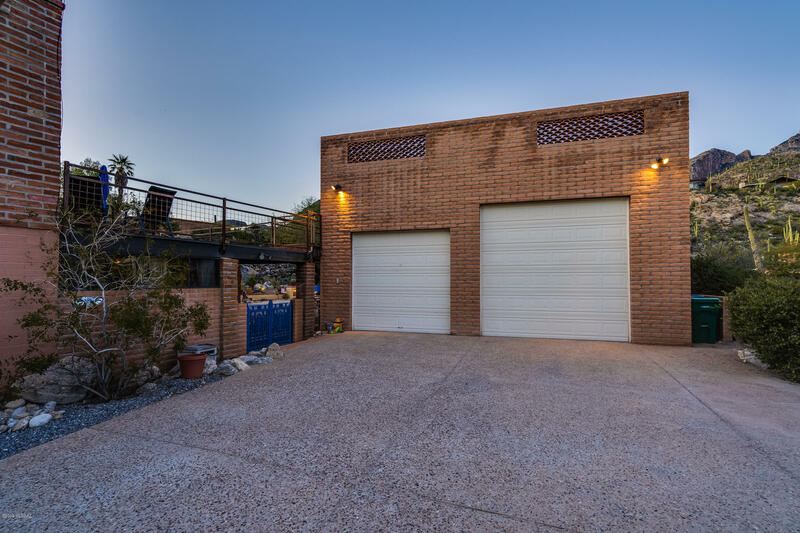 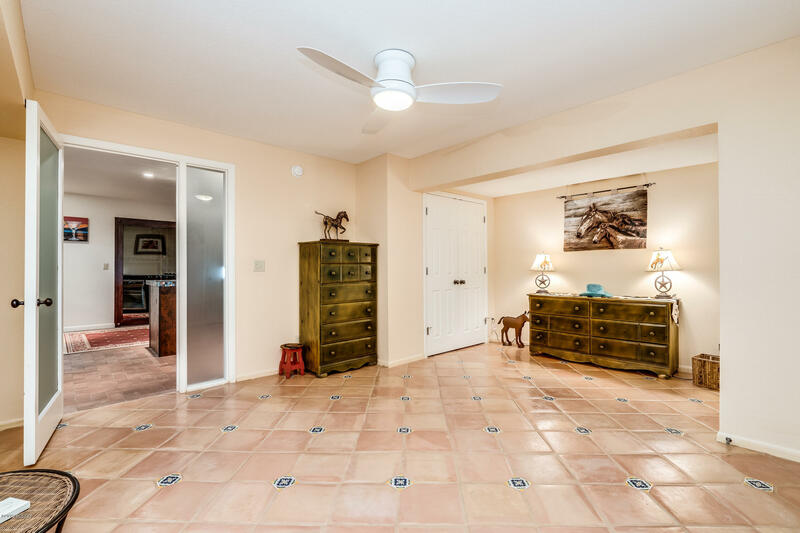 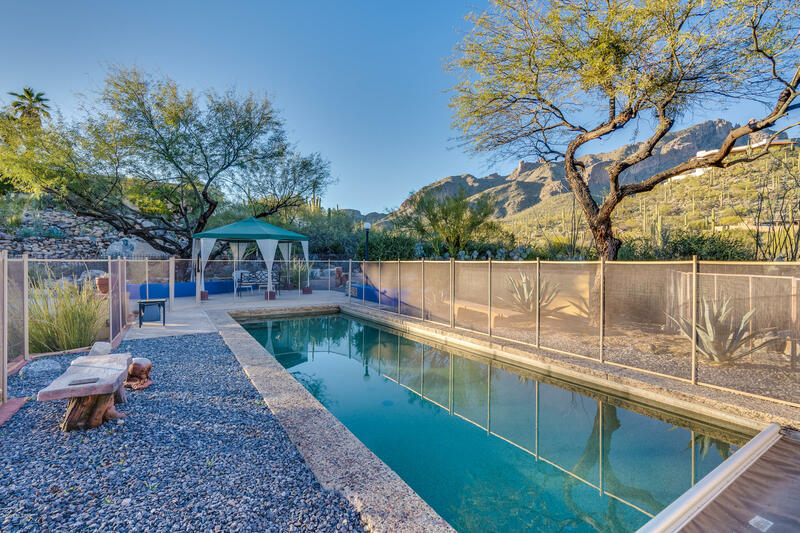 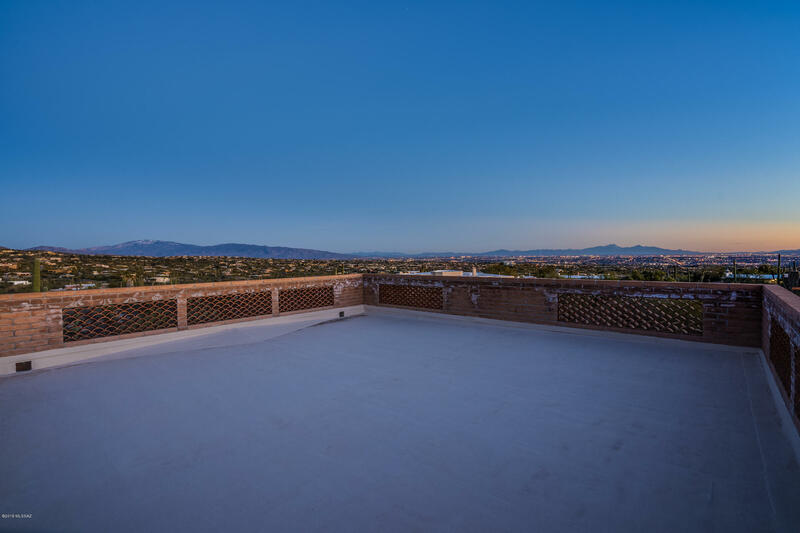 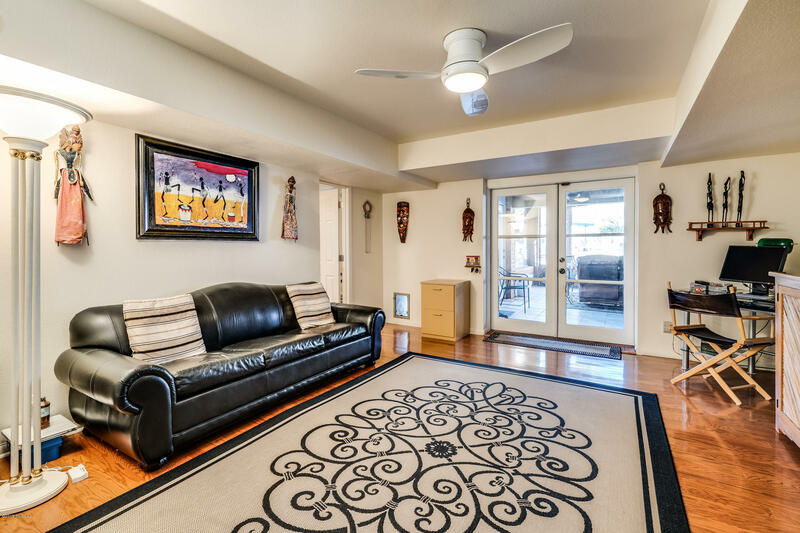 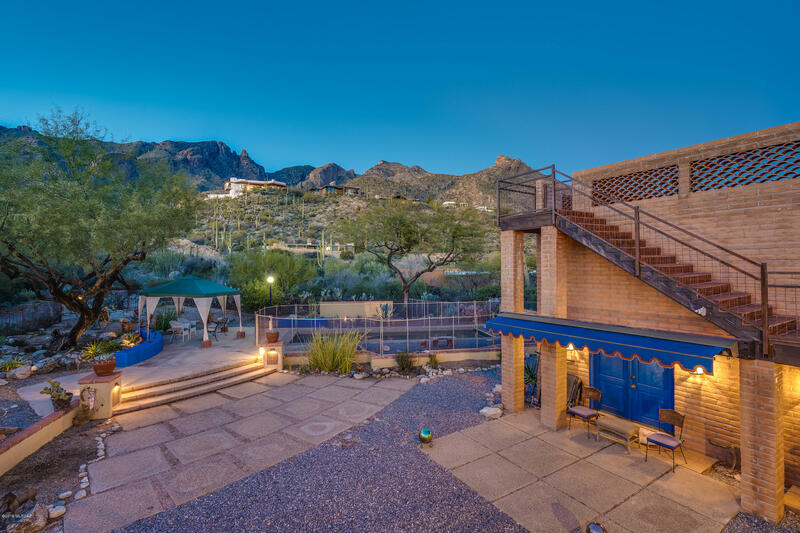 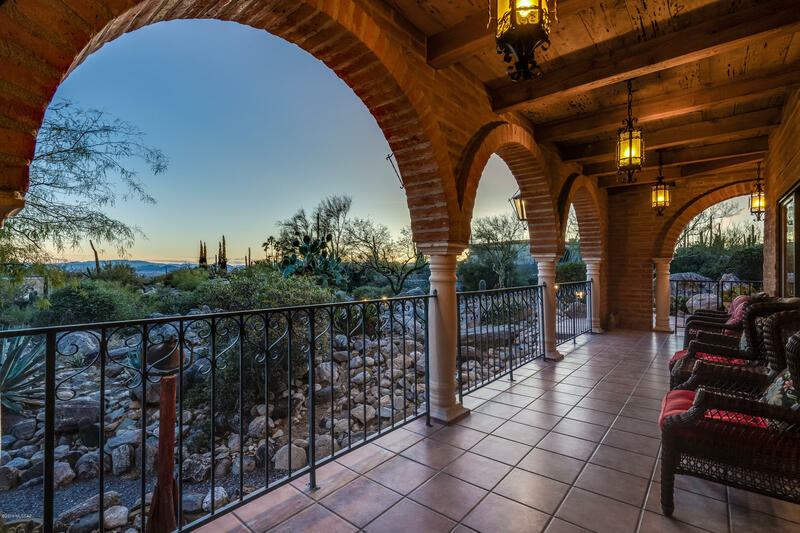 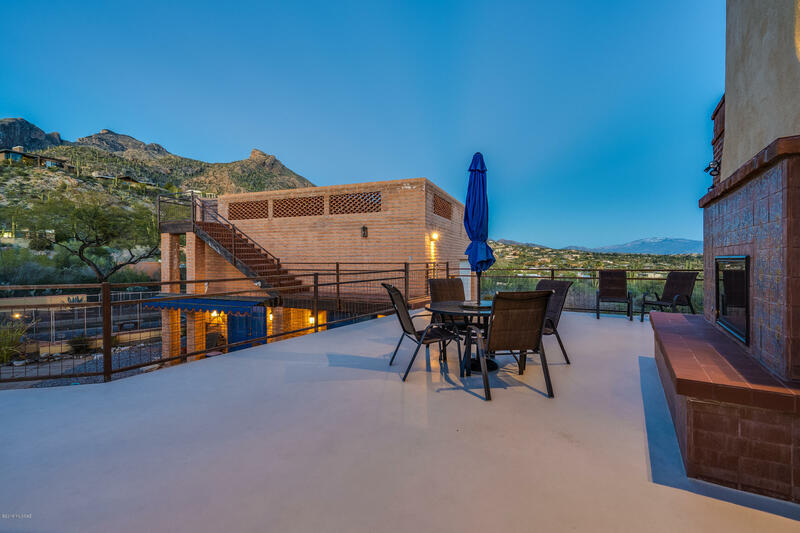 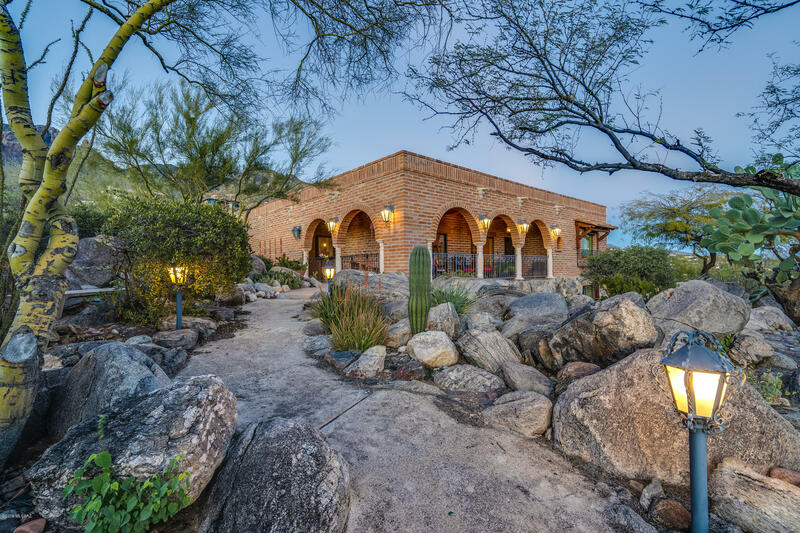 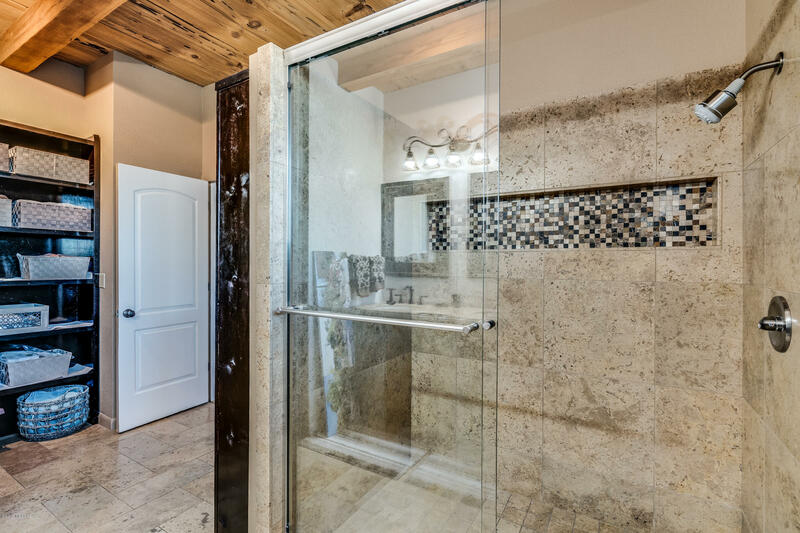 High in the foothills, amidst lush desert vegetation & boulders, less than ½ mile from Finger Rock Trailhead, sits this unique 4 (could flex to 5) bedroom home w/some of the most spectacular mountain/city views in Tucson. 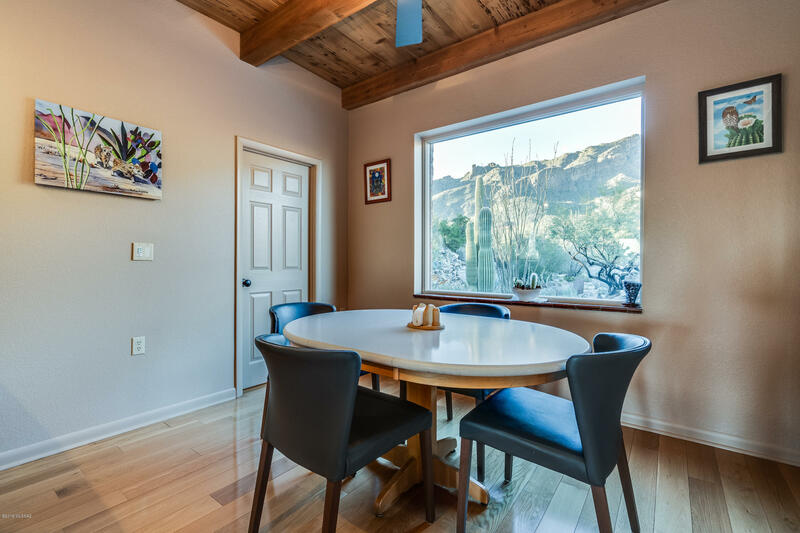 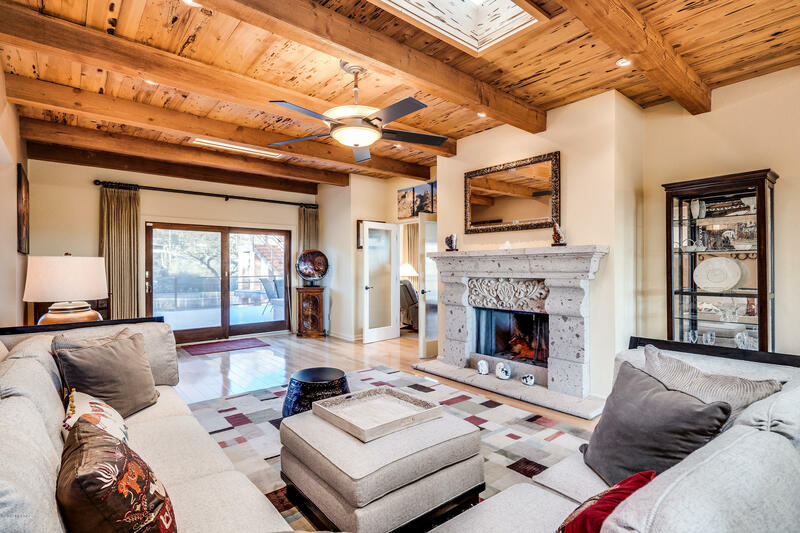 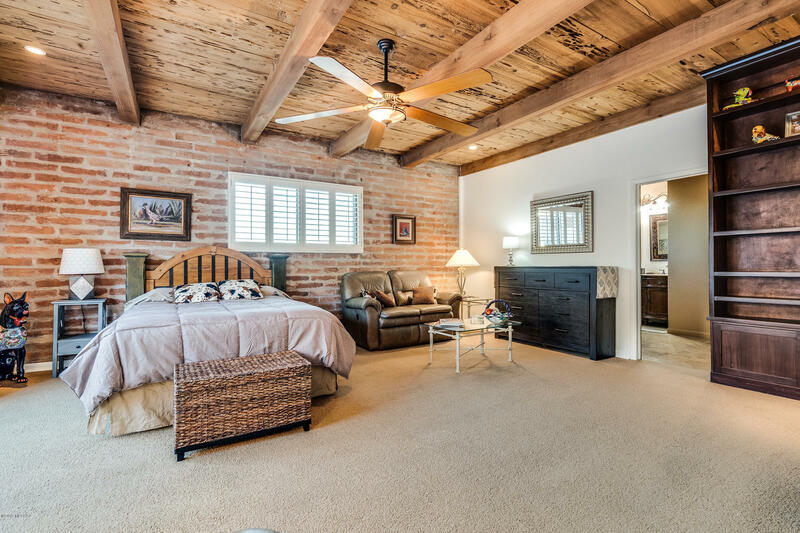 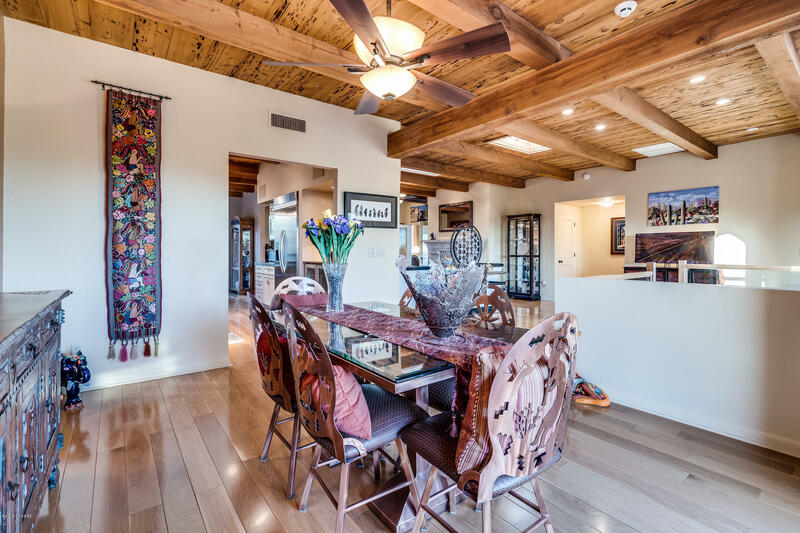 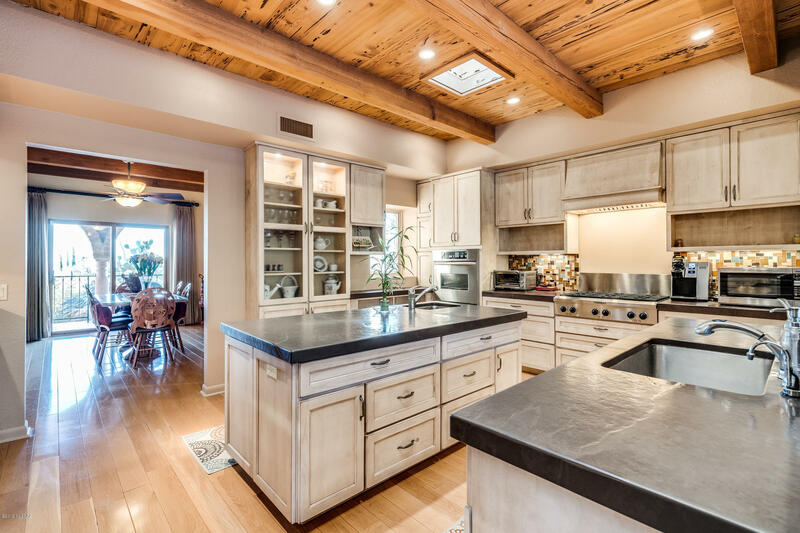 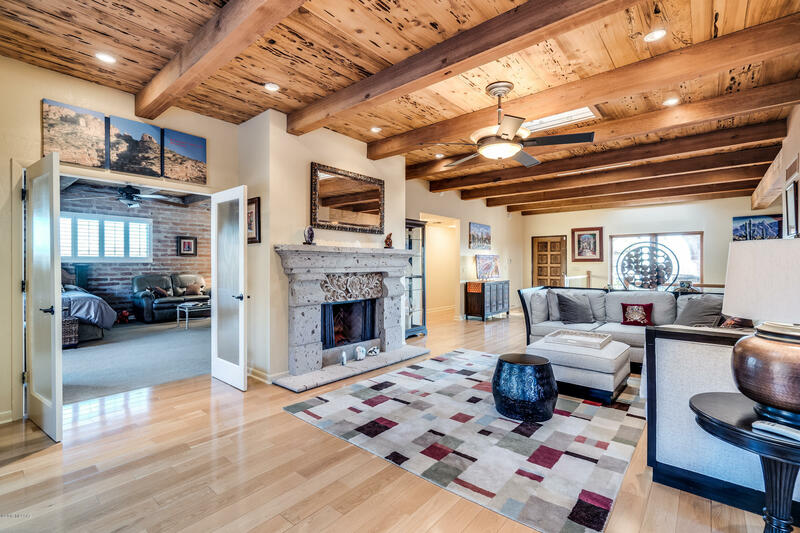 From massive rough sewn beams & pecky cedar ceilings to its wood, slate & polished brick floors, this home is full of classic old Tucson charm. 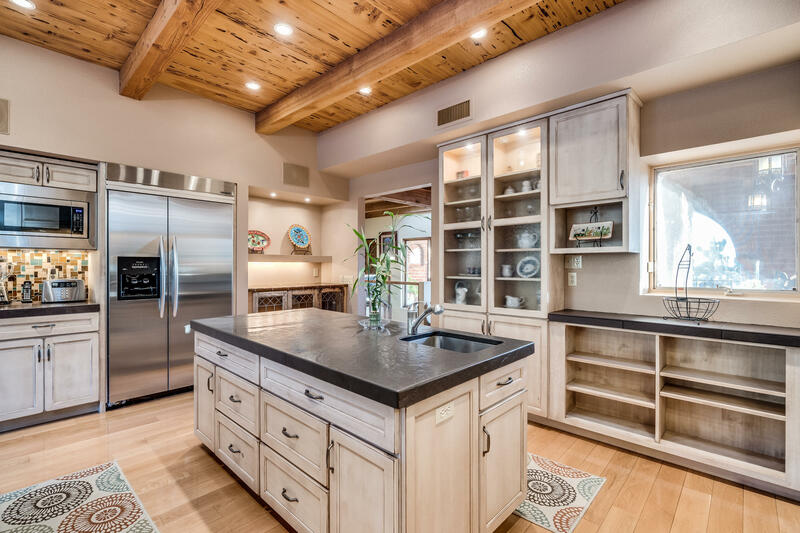 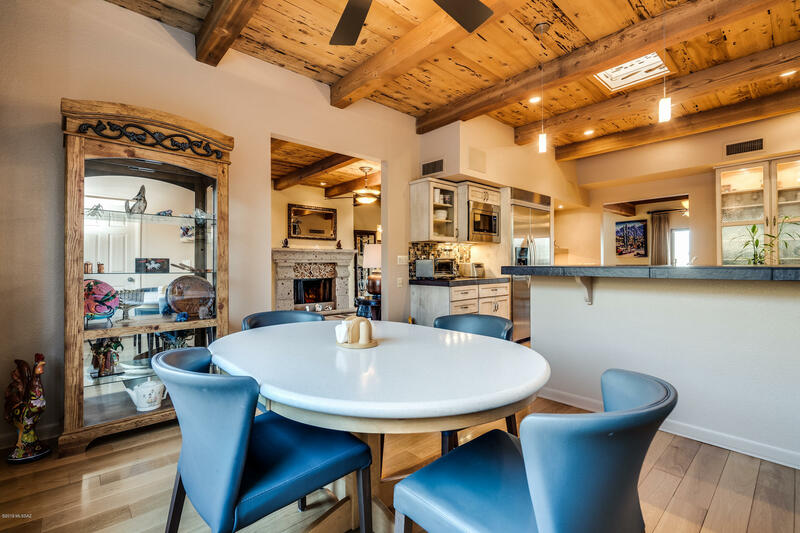 The chef's kitchen centered btwn the formal dining room & separate bkfst area, comes complete w/gas cooktop, prep sink, high-end stainless appliances & walk-in pantry; Brazilian stone countertops. 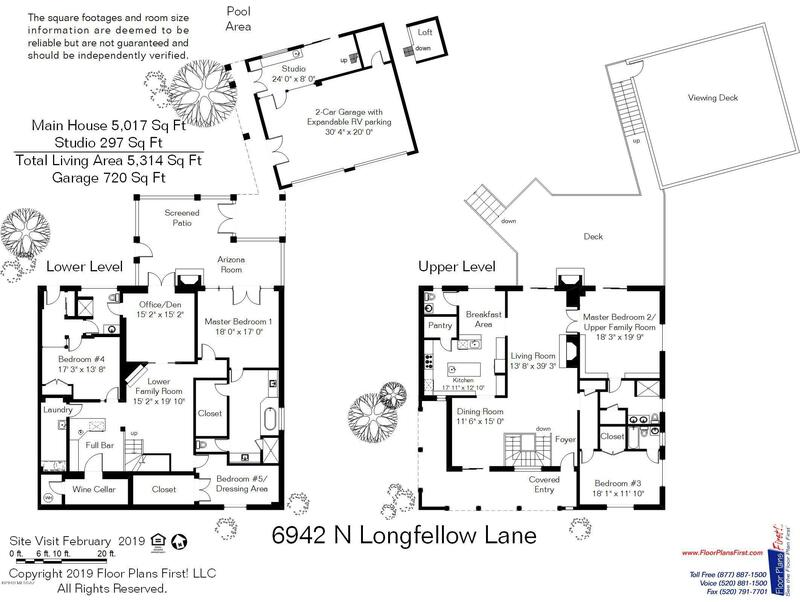 Uniquely designed floorplan w/multiple living spaces easily flex btwn bedrooms, family room, kid's study/game room, exercise room, closets/storage, multi-generational/guest accommodations (dual master bedrooms) & more. 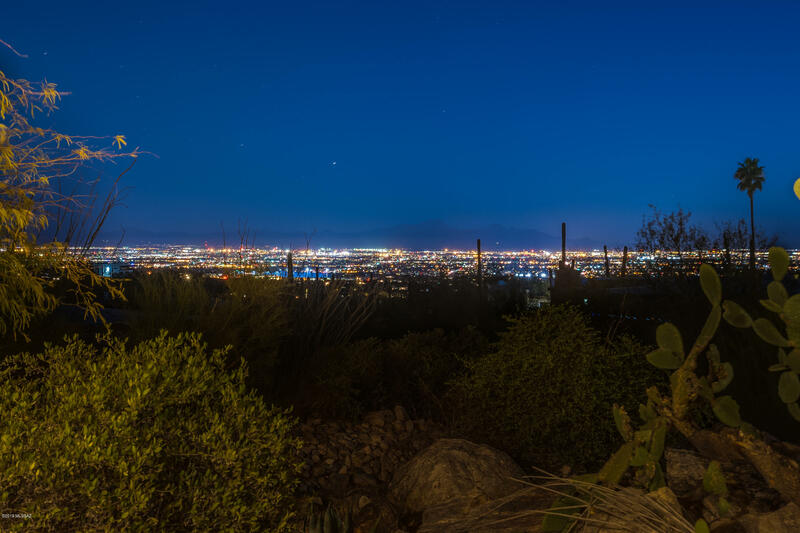 Directions: Skyline N on Alvernon Way to Coronado E to Montezuma S to Longfellow, first cul de sac at top. 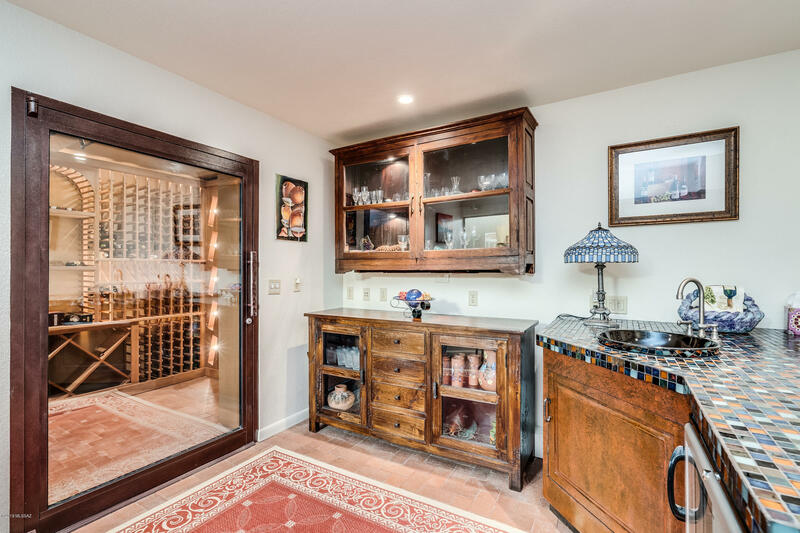 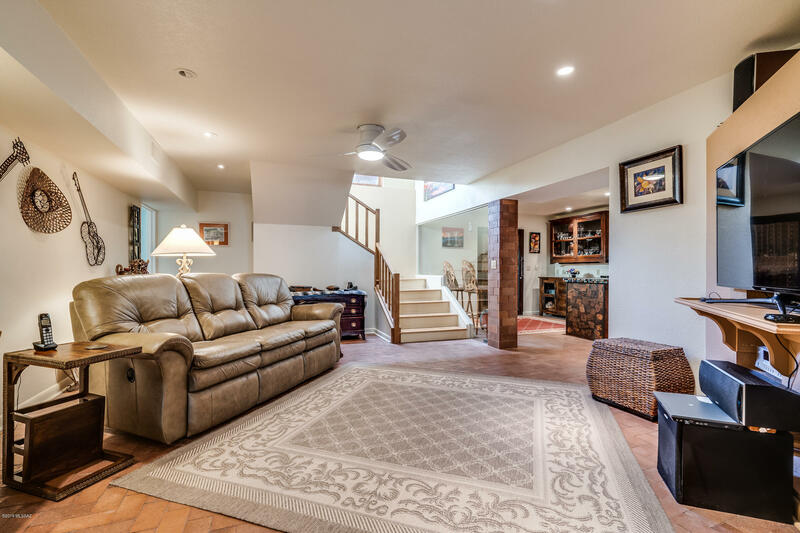 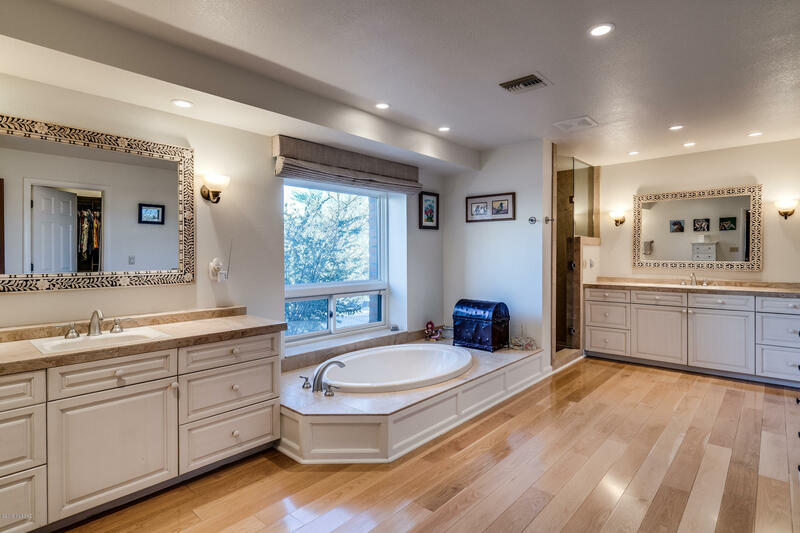 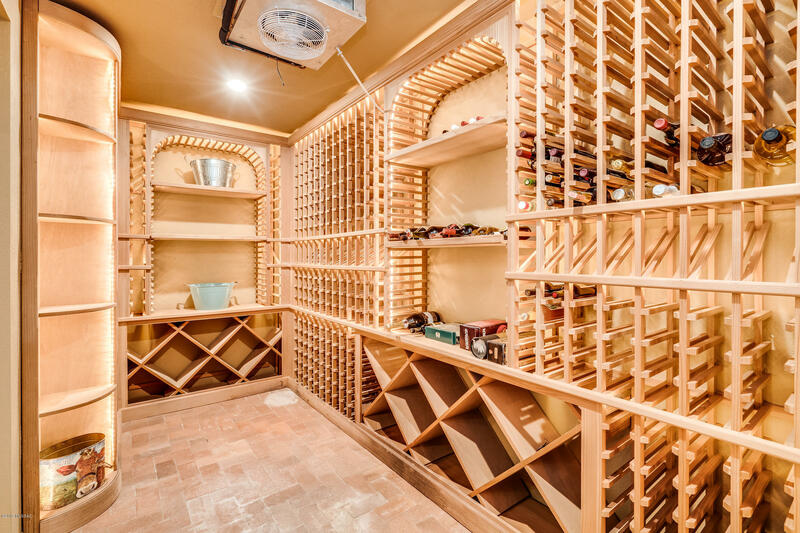 Lower level family room & flex spaces great for entertaining adjacent to a full wet bar & walk-in 600-bottle wine cellar & walk-out screened patio w/fireplace. 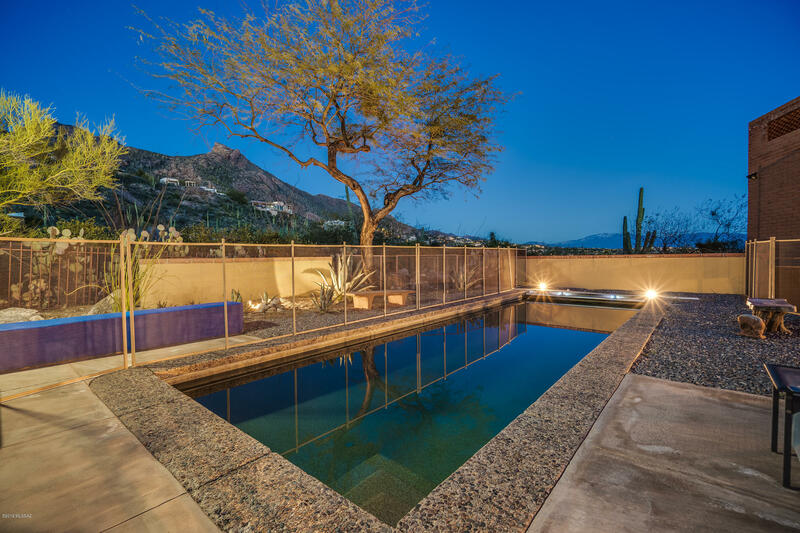 Lap pool w/ "Endless Swim" jets & auto cover. 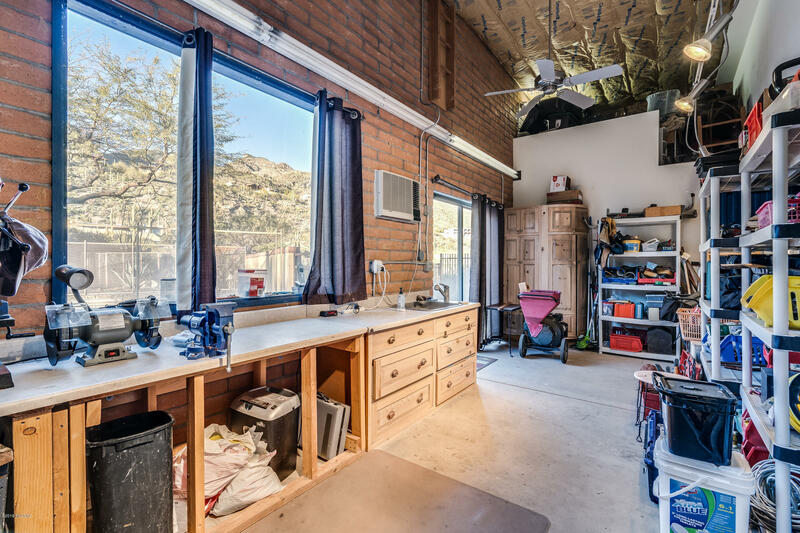 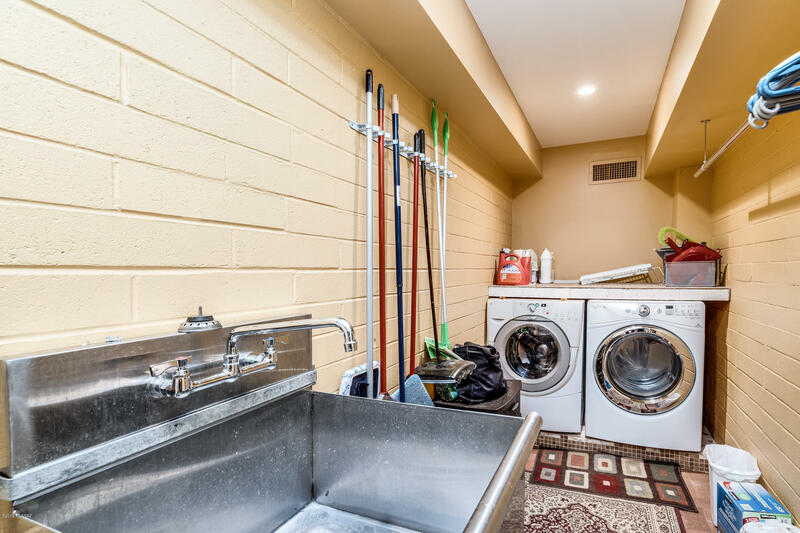 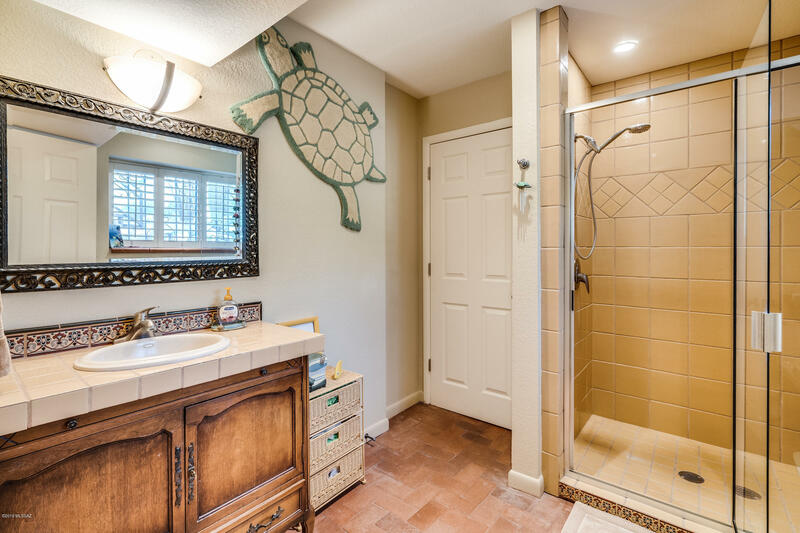 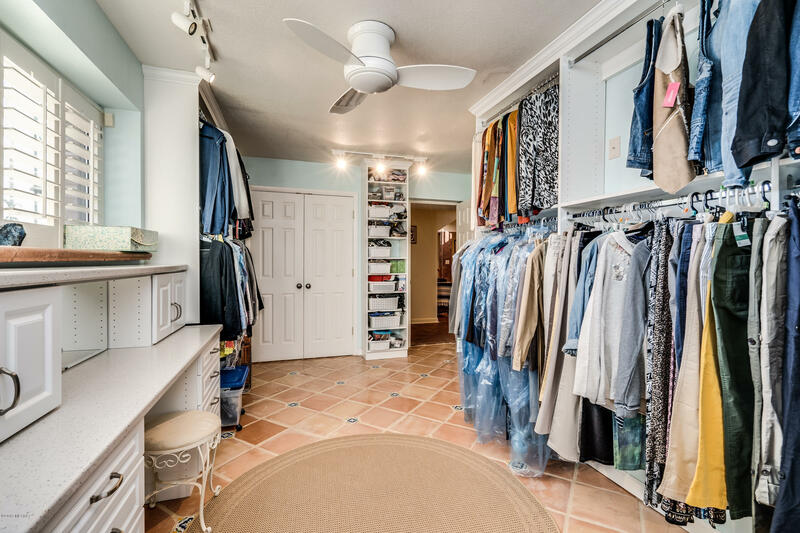 Huge 2-car extended height garage, expandable for larger RV, now w/Studio/workshop & storage loft. 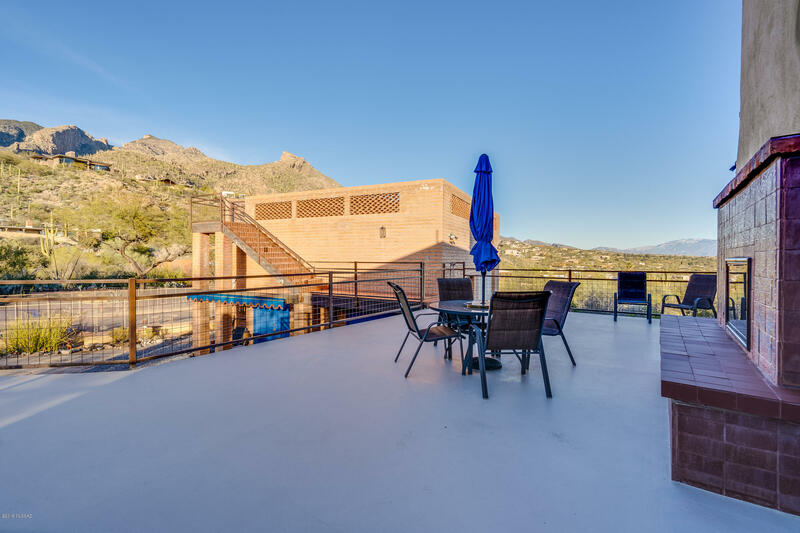 Viewing deck above w/360-degree city lights & mountain views. 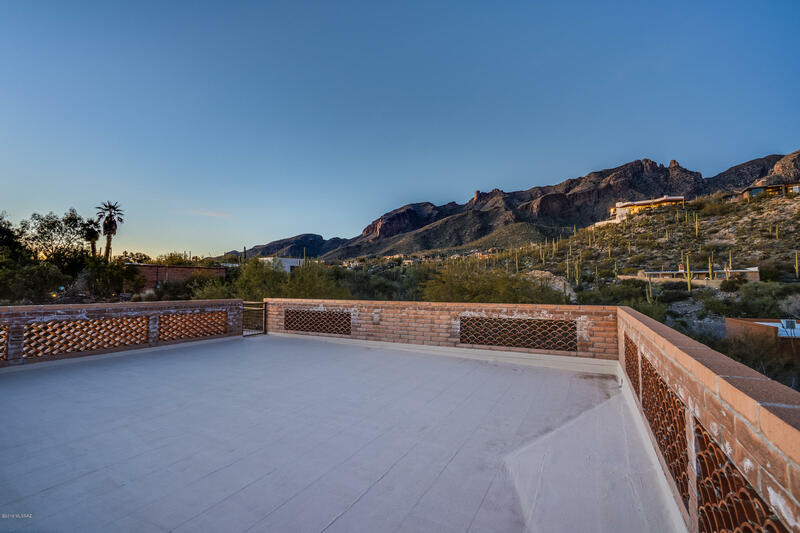 Multiple interior/exterior entertaining spaces w/jaw-dropping views everywhere you look.